Lemon & Vanilla: Pecan Pie / Tarte de Nozes Pecã. 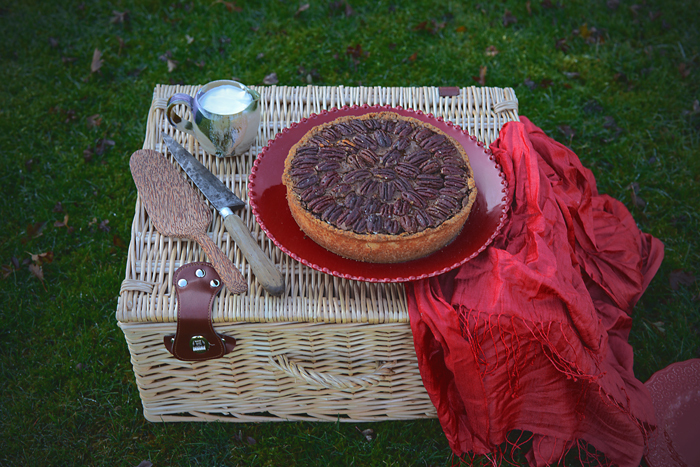 Pecan Pie is the theme for the 33rd edition of the Sweet World challenge. Pecan pie is an American creation. Pecans are native to North America. The nuts were propagated by Native Americans as far north as Illinois and the southern part of Iowa, according to Edgar Rose, a former engineer and self-made pecan pie expert who lives in Illinois. Pecans grew along areas watered by the Mississippi River, spreading a bit to the east into Alabama. Following the Civil War, commercial developers brought in a few varieties of pecans to grow in Georgia (the state is now the main commercial grower of pecans in the U.S.). Grafted pecan trees also became prevalent in Louisiana in the mid to late 1800s. The name of the nut itself is derived from the French word "pacane", which is taken from the Algonquian word for “nut.” That may help explain why some believe the French invented the pecan pie after settling in New Orleans, though there’s seemingly little evidence to support that. 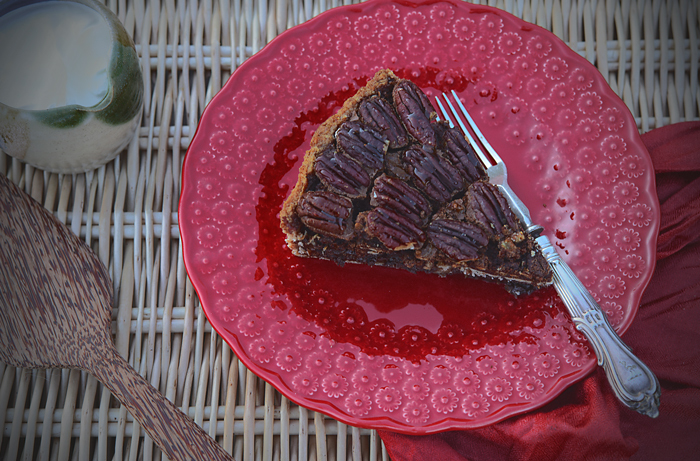 The earliest printed pecan recipes began popping up in Texas cookbooks in 1870s and 1880s. The first recipe that most closely resembles what we know today as pecan pie was published in 1898 in a church charity cookbook in St. Louis, but it was sent in by a Texas woman. By the beginning of the 20th century, recipes for pecan pie had started appearing outside of Texas, but the pie wouldn’t surge in popularity until the mid 1920s. That’s when the manufacturer of Karo syrup began printing a recipe for pecan pie on cans of the product, as James McWilliams noted in The Pecan: A History of America's Native Nut. 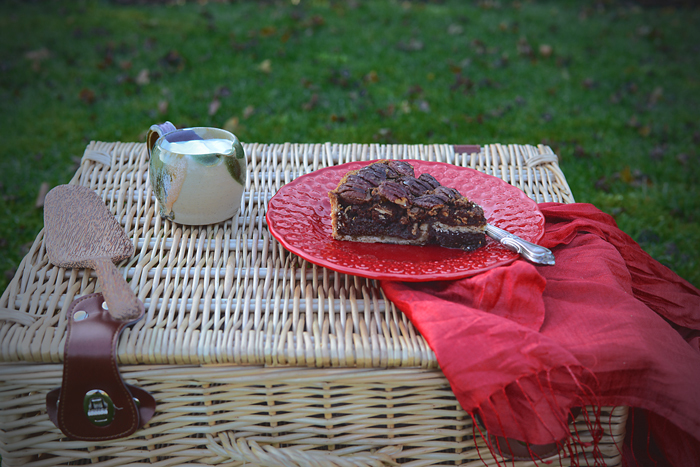 Wide distribution of Karo syrup introduced many people to pecan pie, who found it was quite simple to make. 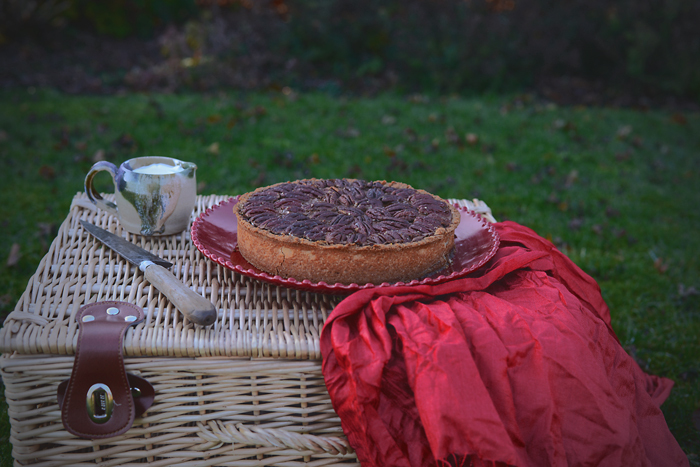 Technically classified as a “sugar pie,” the classic pecan pie recipe promulgated by the makers of Karo syrup uses a cup of the product in the mixture, along with eggs, sugar, butter, vanilla extract, and of course, pecans. Alternatives for Karo syrup include brown sugar and molasses, and some recipes add bourbon, rum, or whiskey into the mix. Pecan pie is nearly always baked in a traditional pie crust verses a crumble crust or a cookie crust. As with any classic dish, near-countless variations have emerged. 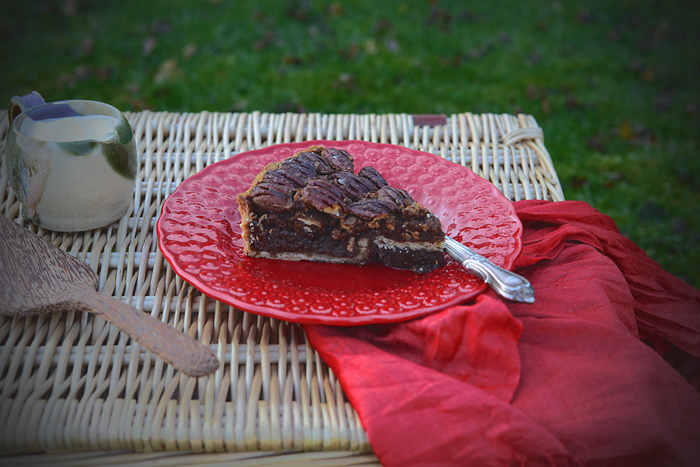 Popular additions to the traditional pecan pie include bourbon, whiskey, shredded coconut, and chocolate. There are also pecan pie-cheesecake hybrids, pecan hand pies, and, strangely enough, pseudo-healthy versions involving chia seeds. Molasses or brown sugar sometimes serve as a substitute for the corn syrup, an ingredient that’s gotten a bad rap from nutrition advocates in recent years. The dense combination of butter, sugar, corn syrup, and eggs create the gooey interior of pecan pie, which complements the crispiness of the top layer. While baking, the pecans rise to the top, leaving a gooey layer of sugary custard below. Early 20th century recipes for pecan pie occasionally contained items such as milk and raisins, but once the Karo syrup recipe spread across the country, the ingredients changed little (barring personal tweaks and individual preferences). 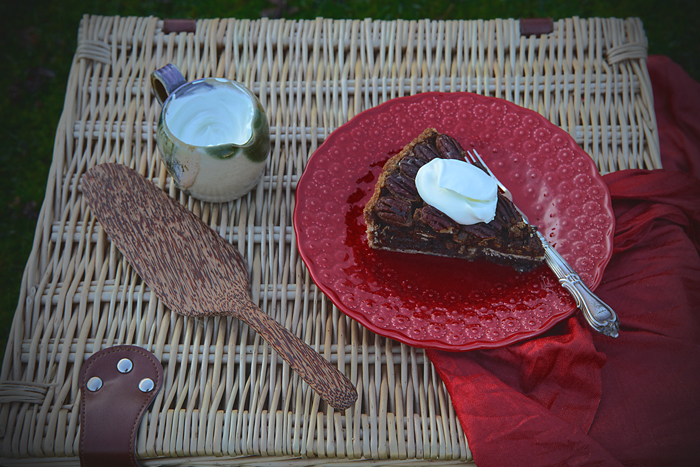 The majority of pecan pie recipes published today are still based on the traditional Karo syrup recipe. How did it become a Thanksgiving staple? With the advent of corn syrup and a pecan surplus, the popularity of the pies spread across the country. Pecan harvesting begins in late September and extends into November, making the timing just right to fuel pecan pie baking for the holiday. Font: Eater - A brief History of Pecan Pie. The recipe I've chosen today, calls for maple syrup instead of the traditional corn syrup. 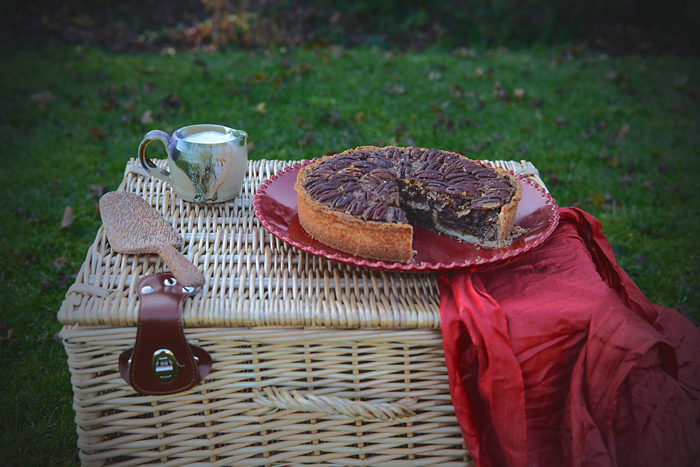 This one, from the fantastic Eric Lanlard and his delicious book "Tart It Up", also calls for chocolate and, as you can imagine, this one was a true crowd-pleaser! You know!! you're in for a great, great treat! Sift the ﬂour into a large mixing bowl and stir in the sugar. Using your fingertips, rub in the butter until the mixture resembles breadcrumbs. Make a well in the centre and add the rest of the ingredients. Again using your fingertips, mix together to make a smooth dough. Turn out on to a lightly ﬂoured surface and gather together into a ball. Cover with clingﬁlm and chill for at least 30 minutes before using. Roll the pastry out on a lightly ﬂoured surface or piece of clingﬁlm to 6cm larger than your tin. Grease your tin, then lift the pastry over a rolling pin and lightly drape it over the tin. Gently lift the edges of the pastry upwards and ease the pastry into position. Press the pastry ﬁrmly but gently into place with your ﬁngertips, ensuring that there are no gaps between the pastry and the tin. Turn any excess pastry outwards over the rim of the tin, then run the rolling pin over the top of the pastry case so that any excess pastry is cut off. Smooth any rough edges with the side of a blunt knife. Preheat the oven to 180°C (fan 160°C). Grease a 23cm diameter shallow pie plate or tart tin. Place the chopped pecans and pecan halves on separate baking trays and roast them in the oven for about 5 minutes, or until golden and fragrant. Bake in the oven for 50 minutes, or until golden and set. 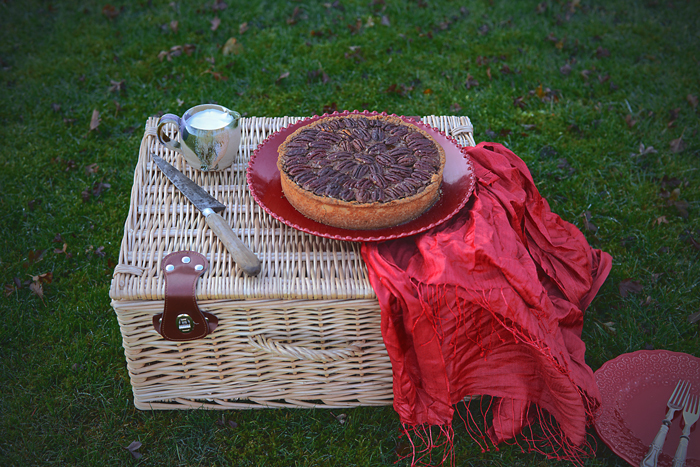 Pecan Pie ou, Tarte de Nozes Pecã é, como podem ler aqui, o tema para a nossa 33ª edição do Sweet World. 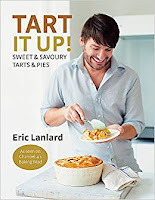 A receita que hoje escolhi, do livro lindo do Eric Lanlard, o "Tart it Up", pede xarope de ácer em vez do tradicional xarope de milho e...!!! ainda!! CHOCOLATE!!! Peneirar a farinha para uma uma taça grande, adicionar o açúcar e misturar. Adicionar a manteiga e, com as pontas dos dedos, trabalhar a manteiga juntamente com a farinha e o açúcar, até obter uma textura areada. Fazer um buraco no meio e adicionar os restantes ingredientes. Mais uma vez e usando as pontas dos dedos, misturar tudo muito bem, até obter uma massa macia. Colocar a massa sobre uma bancada ligeiramente enfarinhada e formar uma bola. Enrolar em película aderente e refrigerar por, pelo menos, 30 minutos. Untar uma forma de tarte ou pie, com 23cm de diâmetro. Numa superfície ligeiramente enfarinhada, ou sobre película aderente, esticar a massa até obter um círculo, 6cm maior que o diâmetro da forma. Forrar a forma com a massa esticada, pressionando bem, por forma a que a forma fique bem forrada com a massa. Passar o rolo da massa sobre a forma, a fim de cortar e descartar o excesso de massa. Alisar imperfeições com a ajuda de uma faca pouco afiada. Aquecer o forno a 180°C (160°C com ventoinha). Colocar as nozes pecã picadas e as metades, em tabuleiros separados e levar ao forno por cerca de 5 minutos, ou até estarem douradas e começarem a libertar aroma. Reservar. Numa taça, colocada sobre um tacho de água a ferver (sem que a taça toque na água), derreter o chocolate juntamente com a manteiga. Numa outra taça, bater os ovos com o açúcar, o xarope de ácer, a baunilha e o Bourbon (caso usem). Adicionar a mistura de chocolate e manteiga derretidos e bater tudo muito bem. Colocar as nozes pecã picadas e torradas, na base da forma forrada com a massa. Cobrir com a mistura de chocolate e decorar com as metades de nozes pecã, previamente tostadas. Levar ao forno por cerca de 50 minutos, ou até a mistura estar douradinha e firme. Servir a pie/tarte quente ou morna, acompanhada de uma generosa bola de gelado de baunilha. Etiquetas: Cream / Natas., Eric Lanlard., Maple syrup., Pecan / Nozes Pecã., Pecan Pie / Tarte de Nozes Pecã., Sweet pies / Pies Doces., Sweet tarts / Tartes doces., Sweet World.